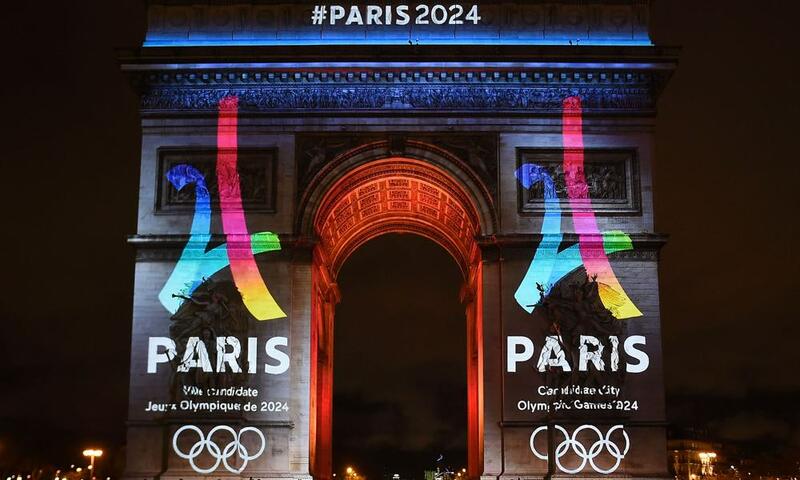 Tony Estanguet, together with all the initiators of the project made the pledge as per www.paris2024.org, before they had even submitted their application bid to the IOC that the 2024 Summer Olympic and Paralympic Games in Paris would be clean and green. The triple Olympic slalom canoe champion guaranteed this, as he reaffirmed his commitment to sustainable development. It is part of his very DNA. Even more so since Thomas Bach chose him to sit on the IOC’s Sustainability and Legacy Commission. Friday 4 December 2015: Tony Estanguet presented the broad lines, vision and tangible achievements to several hundred international experts and leaders. The co-president of the Paris 2024 Public Interest Group was invited to say a few words for the COP 21, the United Nations Climate Change Conference, organised at Bourget in the north of Paris from 30 November to 11 December 2015. He detailed the aims of the French bid in terms of sustainable development and respect for the environment during a conference dedicated to ‘Sustainable Innovation in French Sport’. ‘Sustainable development is not just an “objective”, it is inscribed in the DNA of a bid that involves all the athletes and partners of Paris 2024’, said Tony Estanguet. In concrete terms, the Ile-de-France project promises to sustainably and visibly transform the French capital and its surroundings. The project of organising the triathlon in the waters of the Seine, with the swimming event starting beneath the Eiffel Tower, would imply making the river clean and safe for swimming – a long term initiative that would benefit all residents. Another example: the creation of a new eco-friendly neighbourhood located in Pleyel-Bords de Seine. ‘At the end of the 2024 Games, Pleyel–Bords de Seine will become a new-generation eco-friendly neighbourhood with 3,500 housing units, situated in the heart of a qualified landscape environment that will irrigate the urban development of the Seine-Saint-Denis region’, said Tony Estanguet in his address at the COP 21. The Parisian Olympic project also intends to leave a number of model constructions in terms of sustainable management, especially in the fields of mobility, waste management and energy consumption. The ambition of the Paris 2024 team is actually reflected in its Olympic layout. The Parisian application promises to reduce athletes’ travel time thanks to an extremely compact project, where 85% of the participants would travel for 30 minutes or less to reach their competition sites. This transport management would significantly reduce greenhouse gas emissions. Will Trump’s Immigration Policy Affect The Los Angeles Olympic bid? Has Zidane and Real Madrid Found A New Galactico In Achraf Hakimi? Who Should Michael Bisping Fight For His Final Fight in London? Copyright ©2017 DANTANI, Inc. Sports. All Rights Reserved.